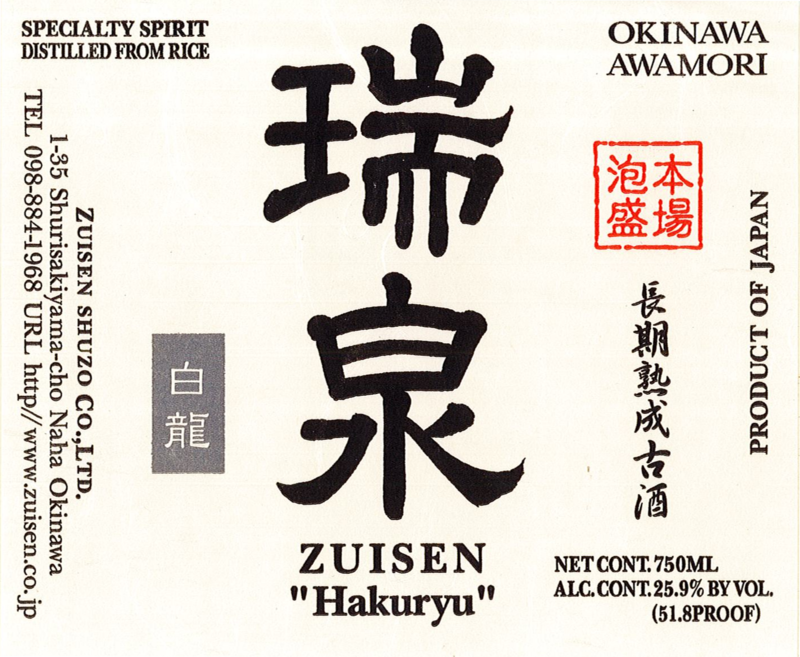 Hakuryu is a blend of variously aged awamori. It is supremely mellow and balanced. Complex, Intriguing Flavor, Smooth, Refreshing Finish.